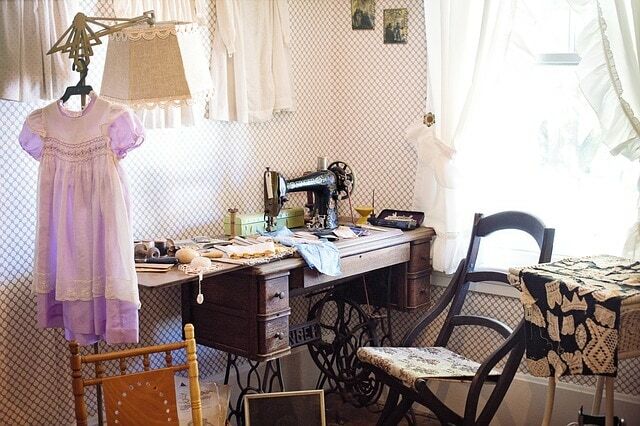 Home Blog Why do you want to sew your own clothes? I’ve been thinking a lot about comments people are making on my Twitter. It’s just amazing how many reasons people have for wanting to learn how to sew. Some people want to make curtains and cute home decor items. Some people want a creative outlet or something to do that doesn’t involve a computer or TV screen. Lots of people, it seems, are obsessed with learning to sew to make their clothing. When I ask them why they want to do that, I get a few responses over and over. I want to sew my own clothes because I don’t like the fashions in the stores. This is a great reason to learn sewing. It’s tremendously satisfying to see an image of a dress or fancy jacket in your head and then be able to reproduce it. You don’t need grand schemes to be the next Donna Karan or YSL, for most people it’s enough to be able to make clothing for themselves and their loved ones. But just learning the basics of sewing isn’t going to get you where you want to go. You also need to understand how clothes are put together. How do you take a two-dimensional pattern piece and create a three-dimensional shape that fits with other shapes to make a whole garment? It’s not difficult, but it does take some study. You’ll want to learn to drape (how to create pattern pieces using a real body or dress form.) Pattern drafting is a useful skill, too, but unnecessary unless you plan to reproduce your designs over and over. I want to sew my clothes because nothing in the stores fits me. Another great reason to learn sewing. Mass manufactured clothing is designed to fit an “average” shape in average sizes. The funny thing is almost no-one fits the average. And we all have features we like to show off or hide. Unfortunately, this season’s styles in the stores may accentuate what you wanted to minimize. It’s so frustrating to finally find a blouse style that looks amazing on you, only to have it disappear from stores for the next 12 years. Again, studying draping and fitting techniques will serve you well once you’ve graduated beyond pillow cases and curtains. Commercial patterns are a good start, but you’ll soon find that they, too, are made for “average” sizes. So, it’s important to know how to modify patterns to fit *your* body. I want to sew to save money. This is a toughie. Sewing your own clothes often ends up costing you more money than just purchasing a similar item in the stores. Fabric by the yard isn’t cheap, and if you make mistakes or buy too much fabric, that’s even more expensive. You also have to factor in the thread, needles, interfacing, patterns and a host of other supplies. Manufacturers can sell garments cheaply partly because they purchase all their supplies in massive quantities, which reduces the overall cost. This doesn’t mean you can’t save money by learning to sew. You just have to be smart about it. Get the highest quality sewing machine you can afford. You want it to last a long time and have little or no issues that require repairs. Recycle fabrics as much as possible. Yard sales, thrift stores, and your friends’ closets are a great source of cheap (or free) fabric. You don’t have to start with fabric by the yard. You can easily cut up old clothes and use them to make brand new items. Some of my favorite garments came from old blue jeans that didn’t fit me anymore. Old bedspreads can turn into beautiful skirts. Even stained or worn-out items can become pillow stuffing or quilt filling. The next time you go out to buy fabric, especially when you’re just learning, try to think of a way to reuse some material that might be lying around. Reuse notions like buttons, hooks and eyes and zippers. Before you recycle any fabric or throw away a worn-out garment, strip it of all useful pieces. Buttons, especially, really add up when you have to buy them new. So what about you? Why do you want to sew your clothes? And what tips do you have that might help a beginning dress maker? Give us a comment, won’t you?